It’s easier to avoid a messy collection than to fix it. Ratings and colored labels in Zoner Photo Studio are a powerful tool for managing photographs and keeping your photo collection tidy. Imagine you’ve just copied your photos onto your computer. What will you do with them now? Zoner Photo Studio offers more than just editing—part of its power is in managing your photos. It will help you to get your collection organized. What do you do when you’ve just brought back a card full of photos from a vacation or a shoot? Sort through them—get rid of the bad ones and leave only the beautiful ones. Certain pictures will also probably need a few edits. But how can you find your way around so many pictures? It may seem like we say Use the Catalog an awful lot. That’s true. And we’ll be saying it again in the future too, because in ZPS, the Catalog is an invaluable tool. It makes finding labeled and rated pictures much faster and simpler. You can find both of these functions in the Manager’s Information menu, or better yet in the side panel’s Information group. 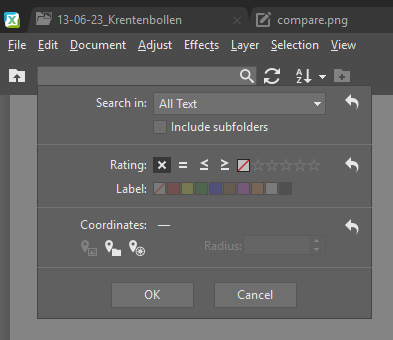 There are shortcut keys for both ratings and labels. They’re easy to remember, and they speed up your work even more. To rate your pictures, use the 1–5 keys, either on the main keyboard or on the number pad. To label your pictures, use Shift + 1–9. The ratings and labels you assign are shown in pictures’ thumbnails. You’ll usually want to start by deciding which photos it does or doesn’t make sense to delete. Some pictures, meanwhile, need edits, while others are perfect. You can mark all this using ratings or labels, depending on the system that you yourself choose. In our experience, the best way to do your initial sorting is via colored labels: use a colored label to mark photos that you intend to process or keep. 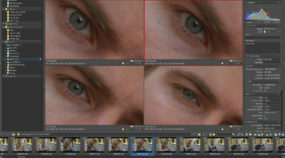 Only edit them or do other sorting after that’s done. 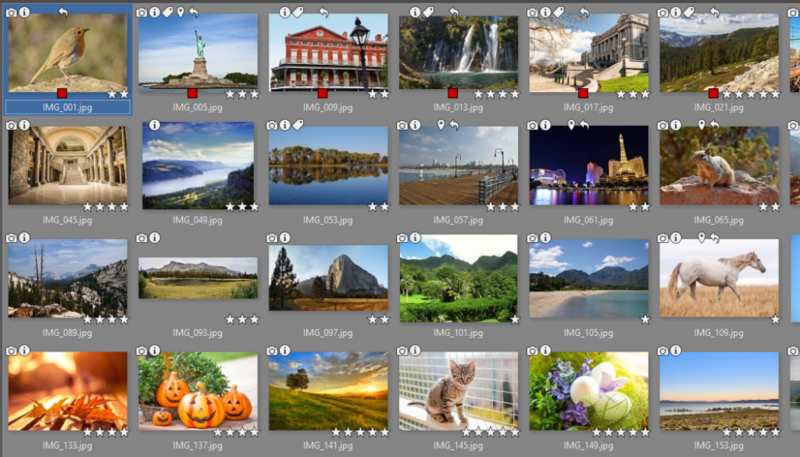 You can mercilessly delete the other pictures, and wait to add the other ratings and labels, which will distinguish your very best photos, during your final selection. When you’re sorting your pictures, you’ll definitely get some use out of the Compare mode in the Manager, which will help you to select the best photos out of a series of similar photos. Turn this mode on by clicking the “Browser” button at the top middle. 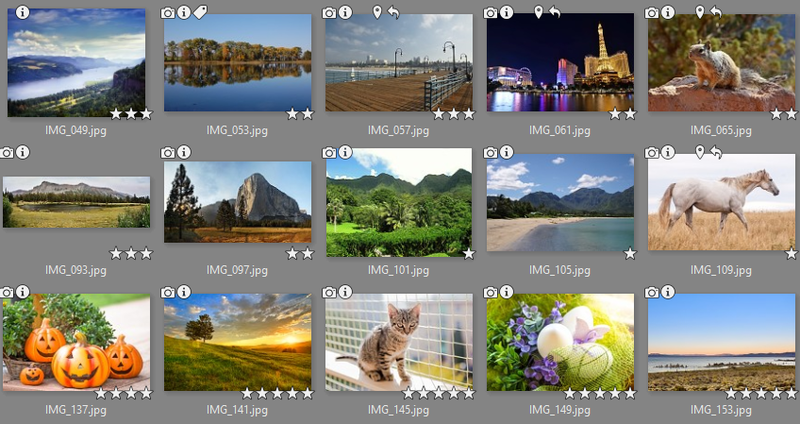 When you are in Compare mode, you can quickly rate and label all your selected pictures. 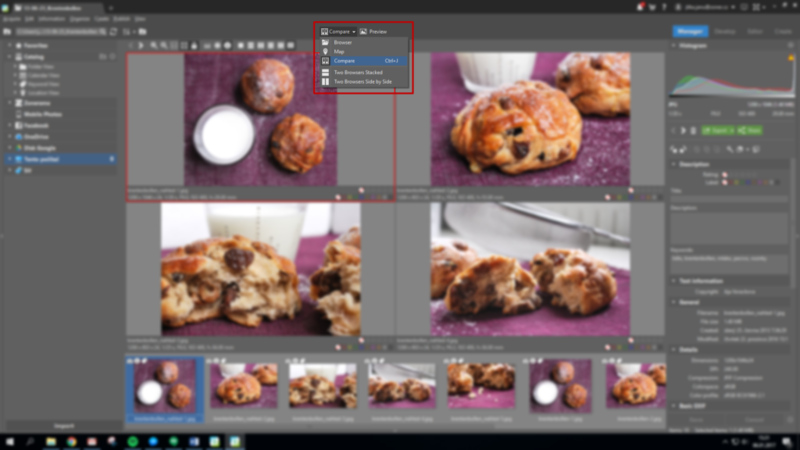 To assign labels to pictures quickly, use the above-mentioned Shift+number shortcuts. You can use up to 9 labels. 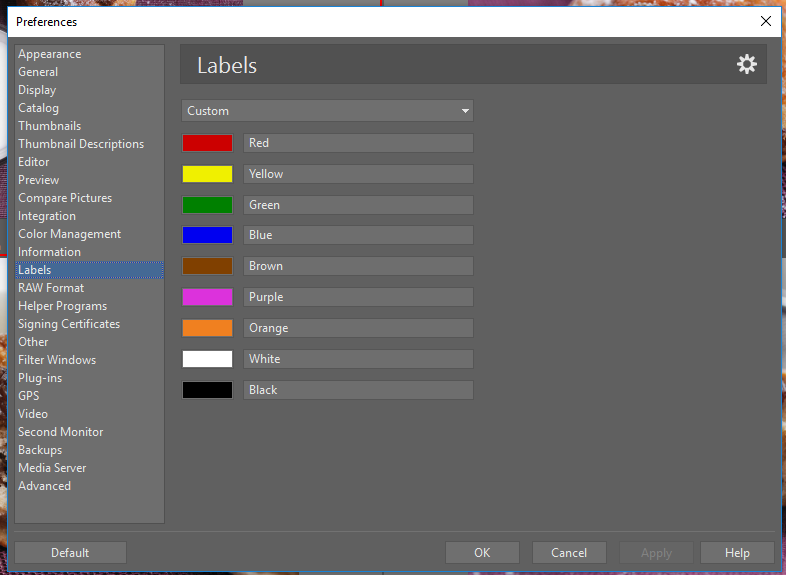 To name the labels, enter the Preferences (Ctrl+M gets you there fast), and then visit the Labels preferences. Name them based on how you’ll be using them. You can name the individual colored labels however you wish. Our users often ask how they can apply multiple colored labels to one picture. This is not possible due to how labels themselves work. You can only assign one colored label to each picture. However, you can give multiple keywords to a single picture. You can give each photo a rating: 1 to 5 stars. Photographers most often use this function for true ratings of the photos they take. They often wait to rate photos until their final selection of pictures after editing them. Give five stars to photos only rarely. Leave this rating for the really great pictures, the ones you think will still be stars several years from now. This might even just be one photo from each album. Sometimes not even one photo per album will deserve five stars. Give four stars to pictures that are exceptional within the given album. Try to give out this rating rarely as well. Mark lower-quality photos that, while in no way unique, have a certain documentary or emotional value for you, with a smaller number of stars. To quickly find individual pictures, use Quick Search (Ctrl + F) in the Catalog. Quick Search can give you a listing of all the pictures with a particular colored label or rating throughout your collection. You can use this to easily select multiple labeled pictures at once, or e.g. all your photos rated above three stars. So you will always have a way to show exactly the photos you need right now. Here the filter is set up to show all the pictures with a rating of two or more stars. Clean up your photo collection! 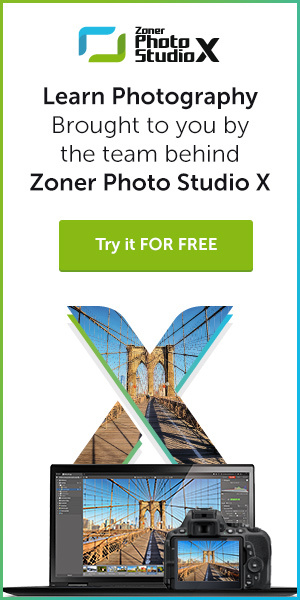 Download Zoner Photo Studio X and check it out for 30 days for free.